In these hectic and busy times living a healthy lifestyle can be very demanding and challenging for most of us and often very few people is able to maintain a healthy lifestyle. Living a healthy lifestyle is a way of life based on the principles of good health and require living a balanced life of mental,emotional, physical and even spiritual well being. 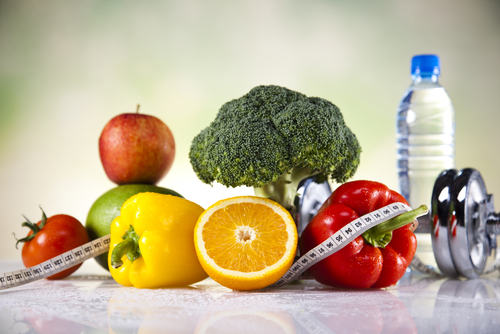 Here are four tips on how to live a healthy lifestyle that are time tested and proven. Eat healthy : The number one tip in living a healthy lifestyle is to eat healthy. There is nothing that can replace the need to eat healthy especially in these times when we are being bombarded everywhere by fast foods and new designer foods on the streets, restaurants, supermarkets and television. Without proper nutrition and a balanced diet our body wont function the way it should and no matter what kind or how much vitamins we take our bodies will never perform the way it should and we wont be at our best health. We need to get back to basics invest in ourselves, shop and eat organic. Eating the right food in the right proportion at the right time makes us feel alert and energetic and ready to face the challenges of the day. Rest and recreation : The second tip to living a healthy lifestyle is getting enough rest and making time for recreation. This is also another area of great challenge but some thing that we cant do without. A lifestyle of adequate rest builds and restores the body and mind. This helps us to become more alert and refreshed throughout the day both physically and mentally. While we sleep the body is also repairing itself and our cell throughout our body but especially the brain is renewed. 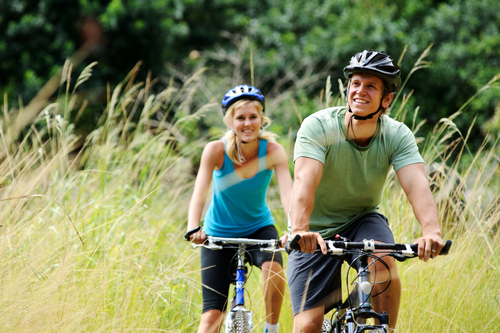 Exercise : The third tip for living a healthy lifestyle is getting enough exercise. Here again this is where we are the victim of our modern lifestyle or way of living as we depend on the convenience of our transportation system to get around and so do not get the exercise that comes from walking. We need to take the time to get more exercise by walking more or cycling or even jogging. Better yet we can also make time to go to the gym or go for a morning run and exercise at the park. Exercising also enable us to get fresh air and sunshine which is also good for us. Mental health : The fourth and last tip for living a healthy lifestyle is cultivating a good mental health. We must take the time to relax and destress through meditation and a calm state of mind, this will result in a sense of well being and give us the ability to solve problems more easily and help us to handle relationships better and more successfully. Life can be very overwhelming and extremely busy but I hope that these healthy lifestyle tips will be your goal from now on. I hope you make time to implement these tips in your daily life and that you maintain a healthy lifestyle by eating healthy, getting adequate rest and recreation, exercising and maintaining proper mental health. If you would like to get extra help implementing these and more CLICK THIS LINK to find out more.